This book has been on my TBR list for what feels like forever. In an effort to not start another series (and thus buy more books so I could finish it), I finally picked this up. Maybe because it was finally turning cold when I started this book and I read it in bed, to describe this book I keep returning to the sensation of being wrapped in a blanket. Picking up the book night after night was a comfort. It’s a good, steady story, almost melancholic in tone, but it doesn’t mess with your feelings. You can depend on it to give you a reliable reading experience. 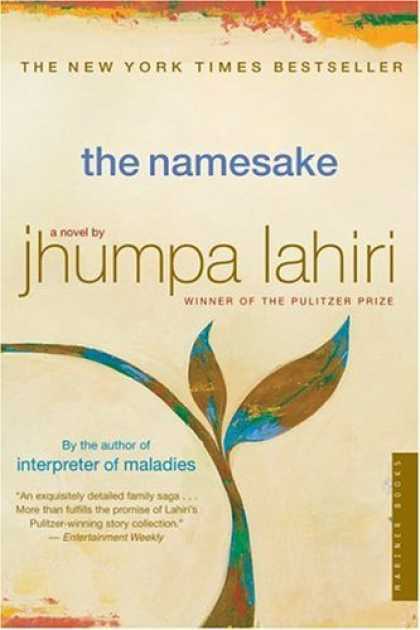 The Namesake is a superbly written book that I (as a white, non first-generation American) feel really digs into the immigrant experience and the often conflicted sense of identity. From what I know via my own experience and the stories I’ve heard from friends about their families, if any one book could possibly encapsulate the Indian-American experience, this is it. The Namesake would be a fantastic choice for a bookclub, so if you’re looking for a great read that will probably be a crowd-pleaser, this is it! Also, a move was made based on the book (which I haven’t seen) so you could even screen sections of it at the bookclub as well.